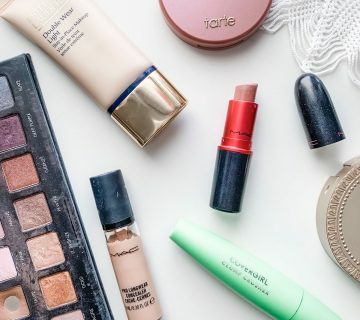 Being the foundation junkie that I am, I tend to spend lots of time and a pretty penny trying out different brands, formulas and finishes of foundation to find ones that work best for my skin type. 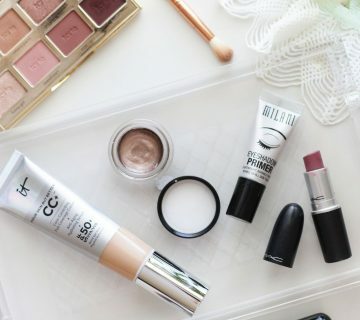 So, you can imagine my surprise and delight when I came across a great drugstore foundation that is easy on the wallet and great on the skin! 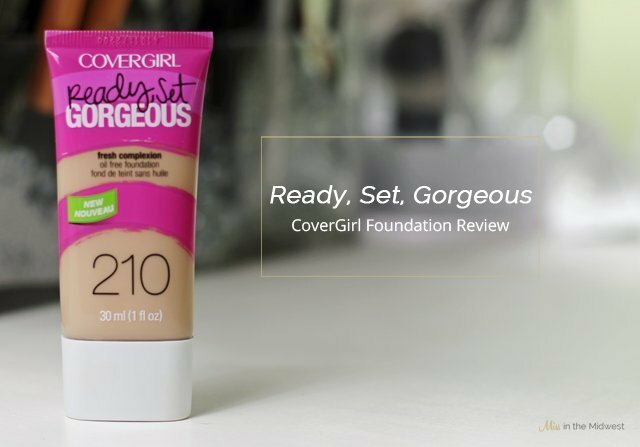 CoverGirl’s Ready, Set, Gorgeous Fresh Complexion Oil-Free Foundation is one of, if not the best, drugstore foundation I’ve ever tried. As someone with extremely sensitive skin, finding a drugstore foundation that is oil-free can be hard to come by, so this product immediately appealed to me for that sole reason. Not to mention that the color selection is fantastic, it has excellent staying power throughout the day, and it provides a light-to-medium buildable coverage for those days when I don’t want a full-coverage look. For the sake of this post, I wanted to demonstrate just how well this foundation covers. I applied the product shortly after getting out of the shower and applying moisturizer when my face typically is most red. The second photo is only after ONE layer of foundation – just one! To me, it’s like a night and day difference. I do typically apply one more light layer to my chin and cheeks since that’s where I have the most discoloration, and then I go in with concealer for the rest. The foundation dries to a natural, semi-matte finish, which works well for dry winter skin – the product still leaves a bit of a healthy glow without looking oily or completely lifeless and matte. I do set my t-zone with a light dusting of powder just to help prolong the wear of the foundation and keep the oiliness at bay. With a setting powder, I usually can go five to six hours with no touch-ups. That’s better than some of my higher-end foundations! In the summer when my skin is oilier, that time most likely will decrease, but for the winter it’s definitely ideal. Shade #210 Medium Beige seems to be a good match for me, but I may need to go down a shade to something a tad lighter and with more of a neutral/yellow-based undertone. The packaging makes it so easy for you to determine the foundation’s undertone while in the store. I also haven’t experienced any breakouts with this foundation, most likely thanks to its oil-free formula. Needless to say, this foundation is here-to-stay in my makeup collection! 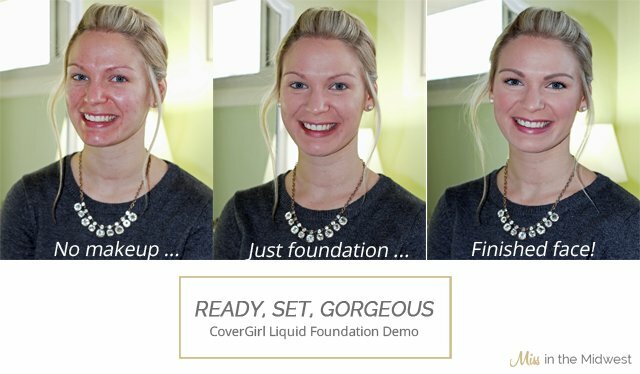 Have you tried any CoverGirl foundations? What were your thoughts? Yup, used it today 🙂 It's a great one! I love your review! That is really a great foundation! It is difficult to find just that right one and I don't think i have tried Cover Girl wow impressed! Totally agree with your review, fantastic foundation! The coverage looks great! I love a good drugstore find. I'm glad I'm not the only one! I'm having trouble finding my winter shade, so I'm thinking I may have to start mixing two colors. Thank you for your sweet comment! Right?! I never tried a CG foundation until the Stay Flawless, and I was hooked. I hope you enjoy this one just as much if/when you pick it up! Can't wait to hear how you like it if you pick it up! 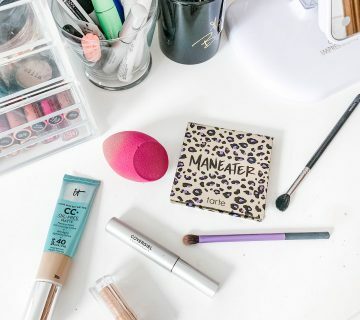 Girl, we're just always on the same page with our makeup products! You really should try it! I think it's only $6 or $7 – keep an eye out at your local Walgreens or CVS for sales/coupons! My skin is so sensitive, and this is one of the few drugstore foundations that I've tried with absolutely no negative side effects. Maybe it would work for you, too! Absolutely! I consider this foundation a pretty close dupe to my all-time fave Estee Lauder Double Wear Light. The coverage and consistency is pretty much the same between the two. I've had absolutely no skin issues with this one either, so maybe you would be okay, too? It's hard with sensitive skin! You definitely should give it a shot! The coverage is better than I expected – I imagine during the summer it would melt off my skin pretty quick, but I'm loving it for the colder weather. I love this stuff!! I am having trouble finding the shade that works for me, but the coverage is amazing. You look amazing! Ok sold! CoverGirl seems to be doing great things with their foundations lately. I actually have two bottles of MUFE HD that should probably be tossed because I found Stay Flawless worked so much better for me. Once I clear out the space this is definitely going to replace them! I love hearing about great affordable products like this!! The before and afters are totally my favorite way to see how the product really works! Thanks girl definitely adding it to my next CVS shop! I haven wondered about this product for a while – I wish i was more of a foundation junkie! I love your review on this, I may have to get this since it seems pretty affordable too! My skin never reacts well to drugstore foundations for some reason – but maybe as you mentioned, it's the oil in them? This one looks like it provides awesome coverage and you can't beat the prices compared to higher end foundations! It sounds like a dream foundation! And the coverage it gives looks great, I don't think I've tried a CoverGirl Foundation in years. Once I find something I like I'm terrible at venturing out and trying something new! Hope you guys are settling into your new home ok!! I'm definitely going to have to check out that foundation! It looks like it has amazing coverage and I agree with B, it's awesome to find a great drugstore foundation! The coverage you got with just the foundation is very impressive!! It's always great when you find a wonderful drugstore foundation – I'll have to try it out when my Naked one ends!! Thanks for the review girl! !